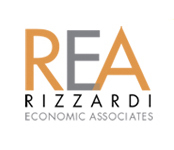 At Rizzardi Economic Associates, we apply the same methodology to all our case retentions. We know, though, that each case is unique; therefore, we provide careful analysis to determine the best approach and solution. Every analysis is prepared accurately and timely by our dedicated team of knowledgeable experts. With our team, you can count on knowledgeable consultancy and expert advice every step of the way. Our valuation reports are comprehensive and detailed and offer our client a tool to use for settlement purposes in advance of trial. Identify records and/or information that can be subpoenaed in a timely manner. Our economists articulate their opinions clearly and concisely, providing for a credible source when needed.